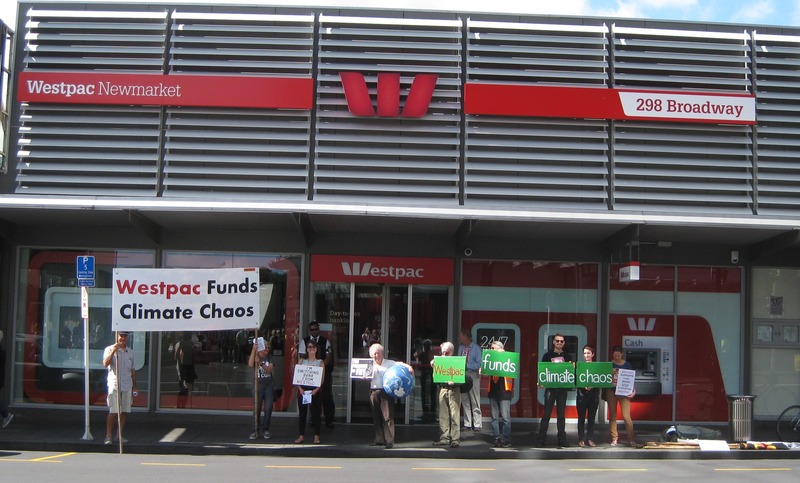 This week Westpac customers all over the country visited their local branches together to close their accounts, or to inform Westpac of their intention to do so, in opposition to Westpac’s funding of Bathurst Resources, the company that plans to mine Denniston Plateau. 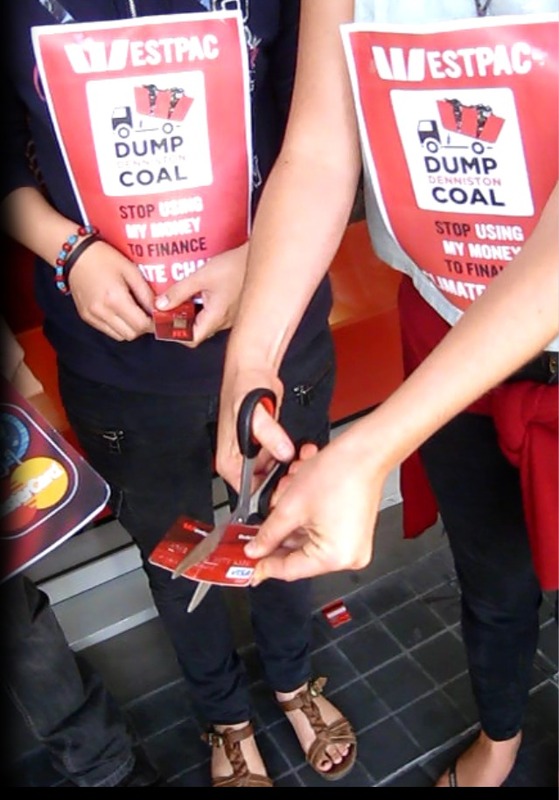 Westpac’s Auckland customers cut up their bank cards and delivered their letters of intention to close at Westpac Newmarket on Saturday, accompanied by around a dozen Auckland Coal Action supporters. 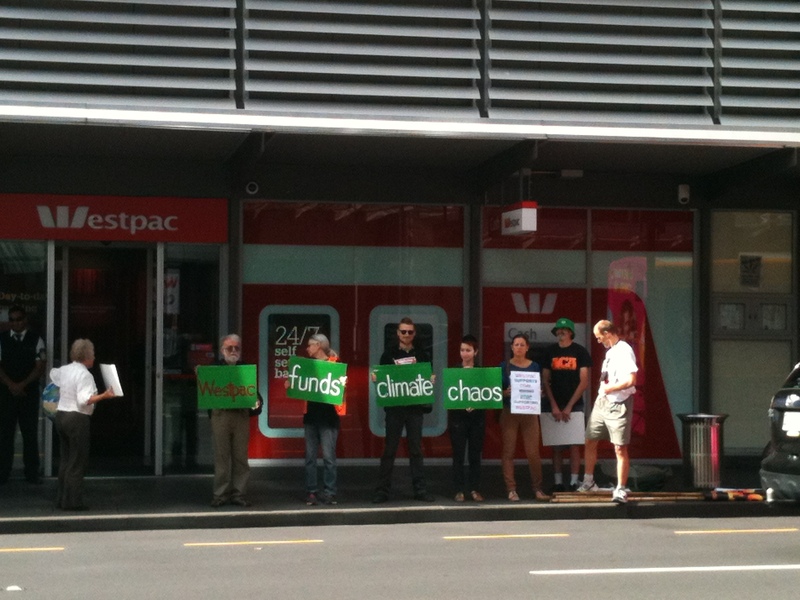 After 4 months of asking Westpac to stop financing climate change and the destruction of the Denniston Plateau – one of New Zealand’s most special places, Auckland Coal Action, Coal Action Network Aotearoa and 350 are asking Westpac customers to join us and Make The Switch to another bank. There will be other bank switches in other parts of New Zealand earlier in the week – contact 350.org.nz for details. 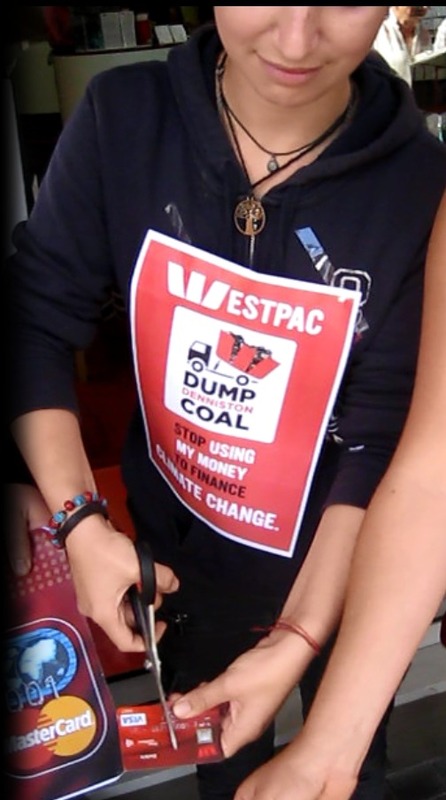 Make The Switch: Dump coal by dumping Westpac! 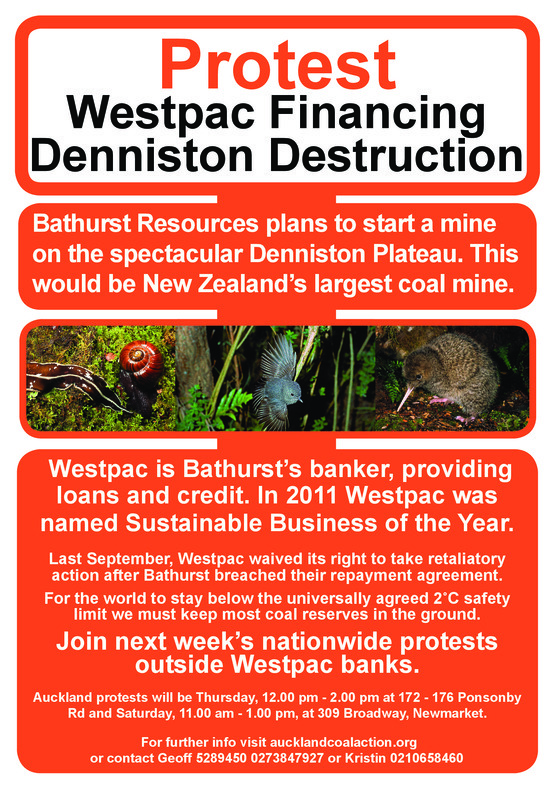 Westpac has ducked demands from 350.org and Coal Action Network Aotearoa to stop funding Bathurst Resources, which plans to destroy much of the Denniston Plateau, one of New Zealand’s top 50 most bio-diverse areas. Westpac claims the money it loaned was not specifically for the planned Denniston mine, although statements from the company show that Westpac’s funding made the mine possible. After more than a year of campaigning, the government has finally agreed to protect part of the plateau, however the planned mine is still expected to wipe out many unique species as some of them only live on part of the plateau. 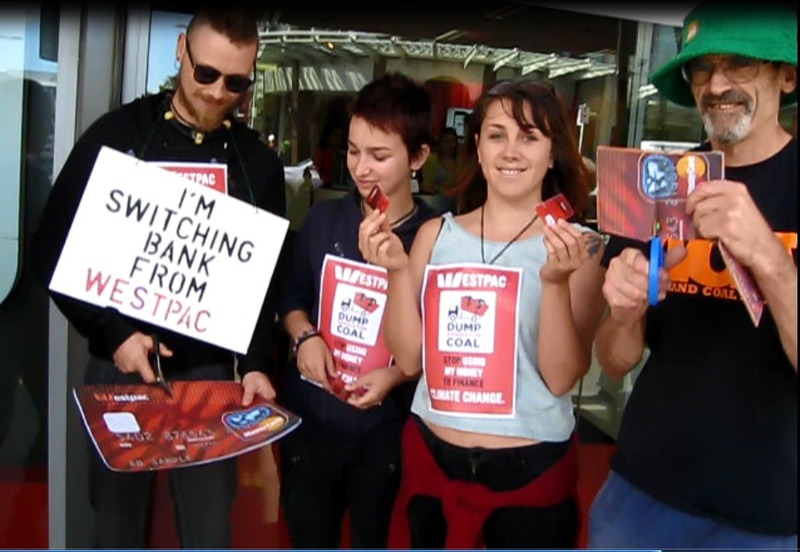 Westpac’s response is not good enough and this year we are stepping up the campaign. Major lenders such as the World Bank and European Investment fund have announced they will no longer fund coal fired power plants. 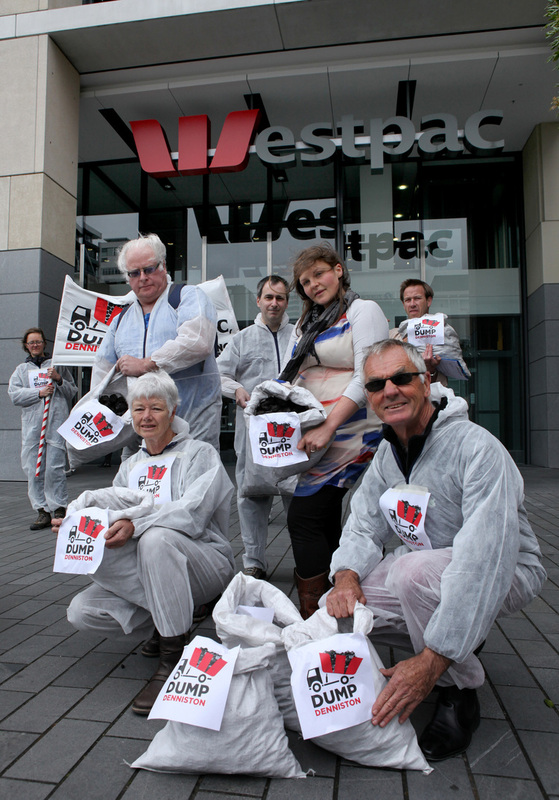 If Westpac won’t divest from highly destructive coal mines, we’ll divest from Westpac! 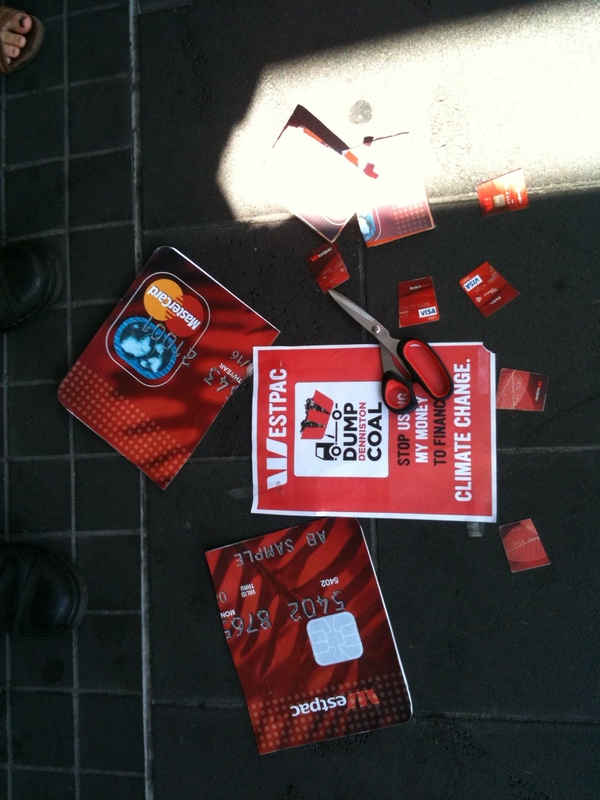 This week tell Westpac to Dump Denniston! Australian-owned mining company Bathurst Resources plans to turn much of the spectacular Denniston Plateau, one of New Zealand’s most unique and ecologically diverse areas into an open cast coal mine, wiping out many of our most unique species and contributing to climate change. And Westpac is financing them, despite the fact that the mine is unlikely to be economically viable and will probably close within a few years, after irreversible damage has been done but before any of the promised benefits have been delivered. Tell Westpac that financing this mine is not compatible with their stated sustainability goals and they must call in this loan!